Lamination is an economical solution to protect and enhance the look of your documents, large and small, makes colors more vivid and protects the true color of photos. It’s used for materials that are handled a great deal, protects from spills and rips, and is widely used for menus, badges, cards and IDs. Lamination is utilized for large signage and banners that are exposed to the elements and is the preferred choice on most all materials and paper that would not hold up to continued use without a protective covering. In addition, with select laminators, mounting boards can also be fed through laminating machines to create sturdy, durable signs and displays. 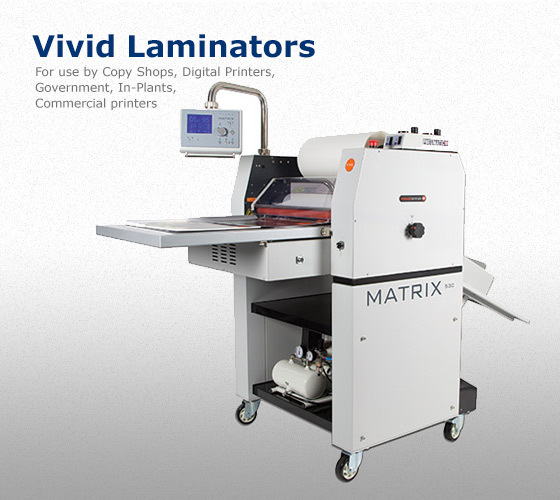 When you need to laminate important documents, notices, class handouts, presentations, posters, menus, banners or other materials that need protection, DataBind offers laminating solutions and supplies to fit your needs. 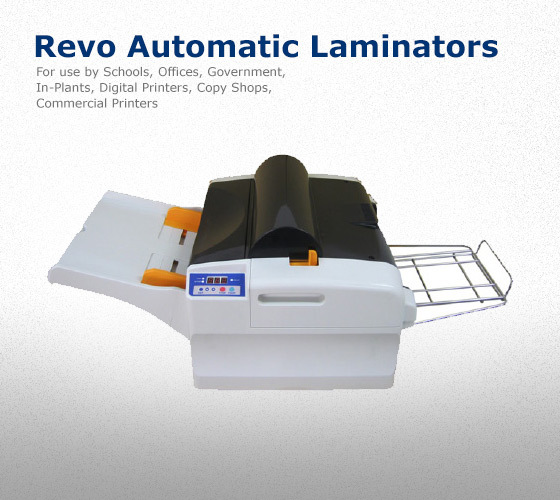 We offer a full line of desktop and commercial machines for office, school, copy shops, in-plants, digital and commercial printers.